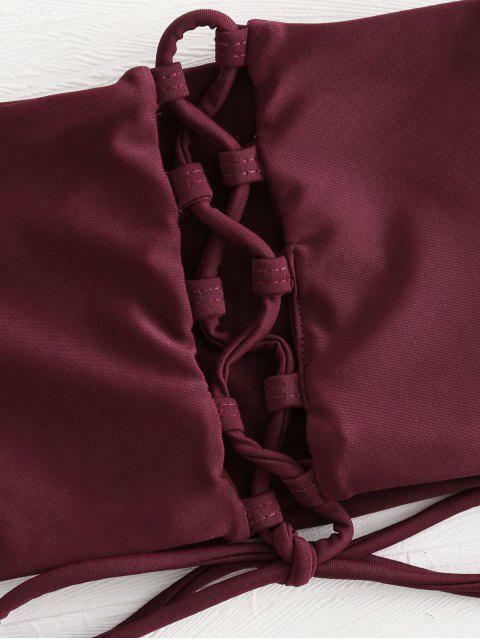 [22% OFF] 2019 Bandeau Lace-up Bikini In RED WINE | ZAFUL ..
An adjustable lace-up detail centers the sassy off-the-shoulder top that looks good both in the water or on the beach. With polished short sleeves, the bikini top is designed in a trendy bralette, which offers great comfort while wearing. A pair of cheeky briefs is included to complete the look.